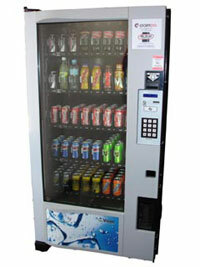 We have a range of different types of used vending machines for sale. If you would like to buy a used vending machine please peruse these used vending machines available for sale at your leisure. Enquiries to buy used vending machines or to get a quote to buy a used vending machine can be made by submitting a request via the online form on the appropriate used vending machine for sale webpage. This is a used drink vending machine. We are continually adding to our range of used vending machines for sale, so keep an eye on this website.